Cat, Bear, Dog or something else? I couldn't decide! 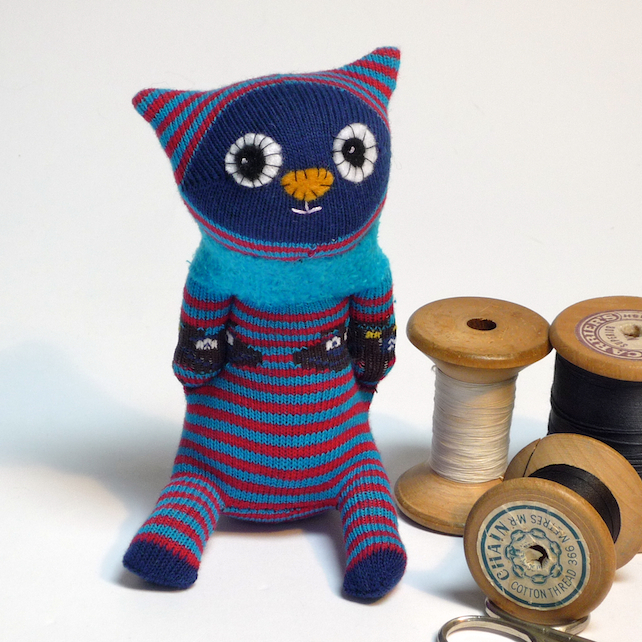 This cute sock animal is made from a new pair of red and turquoise striped baby socks with a dark blue face, feet and bottom and a turquoise fleecy neck collar.